The first two-thirds of the fantasy baseball season are in the books, and the fantasy baseball landscape is becoming very concrete. 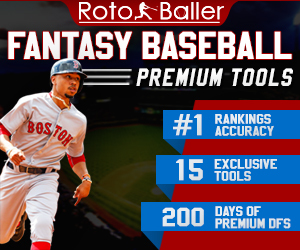 As with the first week of each of the previous months, RotoBaller will be updating our positional rankings over the next couple of days. Today, we’re revisiting the first base rankings we initially published in April and have updated every month since. 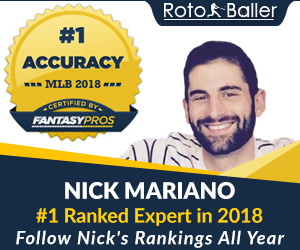 All the ranks below are compared to the FantasyPros ECR (Expert Consensus Rank), which will show you where RotoBaller differs with the expert community and by how much. Check out our tier-by-tier analysis below the rankings, and let us know where you agree or disagree with us! Tier 1: We all know that Reds' first baseman Joey Votto is a special player. The hitting approach, the plate discipline. He’s a stud. But let’s look at his 2013 stats for a moment. Through July, he’s hitting .317 (elite) with 16 HR (solid) and... *eyesore*... 47 RBI (poor). Yes, he’s scoring a ton of runs (73) and even has a few stolen bases (4) to his name, but 47 RBI is just not what you want from your starting first baseman. Just being realistic, Chris Davis (.305-38-99), Edwin Encarnacion (.280-29-84) and Paul Goldschmidt (.300-23-85) are so far ahead of Votto in the stats we want from a first baseman that it almost seems unfair to rank the trio lower than Votto. As such, Votto slips two spots to #4 in this month’s rankings update. How’s that for BOLD? Tier 2: It just doesn't seem right that Albert Pujols is nowhere to be found in either Tier 1 or 2. In fact, I didn't rank Pujols at all this month upon hearing that he’s likely done for the season. As for the healthy players, Allen Craig is batting an incredible .475 this year with runners in scoring position. He’s currently sixth in all of MLB with 79 RBI. Michael Cuddyer (.331, 17 HR, 62 RBI) is enjoying the most productive season of his 13-year MLB career. He was solid in July (.293, 3 HR, 14 RBI) and drew more walks (17) in the month than he did strikeouts (14). Cuddyer should shatter his career-high .284 batting average mark set in 2006. Tier 3: Eric Hosmer continued his hot-hitting ways in July. Anthony Rizzo fell a bit further off our fantasy radars by hitting under .200 for the month. Adam LaRoche-- well known for his post-All-Star break success-- is hitting .111 since the Midsummer Classic. Adam Lind struggled last month, just as I predicted in last month’s rankings update. Tier 4: Kendrys Morales and Yonder Alonso climbed the rankings into Tier 4, although it’s doubtful that either player will climb any higher. Ike Davis and Logan Morrison failed to do in July what Hosmer and Lind did in June, and thus plummeted into Tier 5. Both are in fantasy limbo at the moment, but I suppose either one could go off in an instant. Tier 5: These are guys to keep an eye on in deeper leagues and leagues that start a Corner Infielder. Matt Adams has seen a boost in his stock recently. 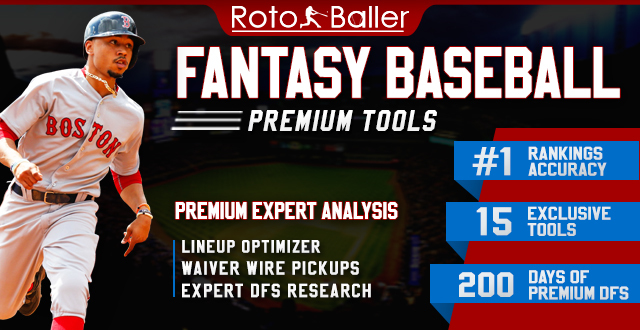 Tier 6: These oft-injured first basemen are on the waiver wire in all of my leagues. Based on past success alone, keep a loose eye on them if/when they return to health.